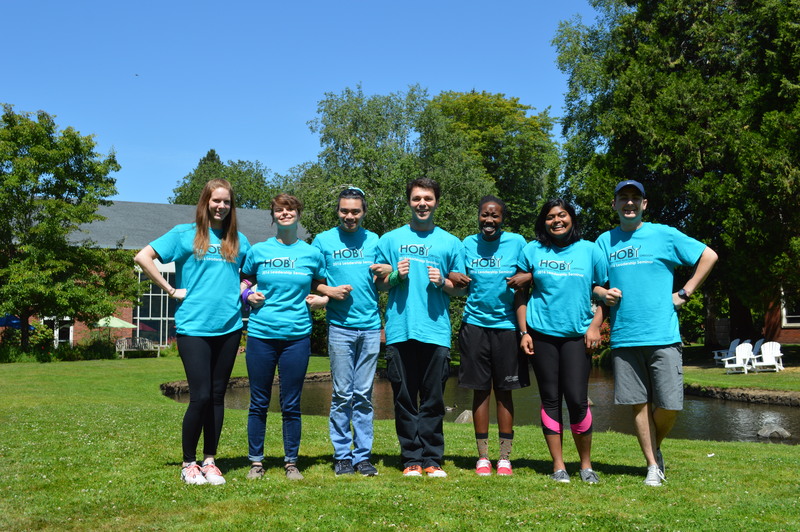 Corporate Board – The governing body of HOBY Oregon which supports and oversees the volunteers, activities and finances of the leadership seminar, alumni engagement and other programs sponsored by HOBY Oregon. Board members also work to raise awareness about HOBY’s programs in their local communities, and to build a support base for the longevity of the programs. Seminar Planning and Operations (Ops) – The Seminar Planning and Operations Team is responsible for all aspects of the annual state seminar. The team handles the program planning, speaker selection,and recruitment of volunteers and ambassadors. The team is lead by the Leadership Seminar Chair (LSC). Senior Facilitators (SFs) – Work collaboratively with a Junior Facilitator to guide a group of 7-10 participants through the HOBY experience. SFs co-facilitate conversations following activities and maintain open and positive atmospheres in the small groups – ultimately helping the youth participants to develop leadership confidence and growth during the weekend. To Apply: Please fill out the Senior Staff Application, in addition to the HOBY National Volunteer Application found here. Seven years I’ve volunteered with HOBY and each experience is memorable. As a volunteer you are responsible for the care and mentorship of some phenomenal young leaders across the state. As the weekend progresses you identify with your Ambassadors, and quickly learn that they have as much to teach you, as you have to mentor them; their leadership styles, hopes, dreams, accomplishments and ambitions always inspire me to return. It’s remarkable that a single program can confront issues such as diversity, inclusion, privilege and poverty with respect and humility towards these students, while promoting the message that every voice counts. I can see myself returning as a volunteer for many more years. After being a 2007 Ambassador with HOBY, I knew that coming back as a volunteer would be coming home. Volunteering with HOBY has been one of the most life changing and inspirational experiences of my life. Each seminar leaves me wanting to do more, say more and be more active within my community. While a facilitator guides Ambassadors to see their fullest potential, they, in turn, instill in each volunteer hope that tomorrow will always be a better day than today. These incredible, bright young adults are the reason I come back each year and will continue to do so for as long as I can. In 2013 I was invited to be a senior facilitator for HOBY Oregon, being welcomed with open arms from the rest of the staff and empowered to guide the way for the Ambassadors. HOBY has helped me to become a better leader and follower in my personal and professional life. Becoming a senior facilitator for HOBY gave me the opportunity to work on small and large group level to guide the leaders of tomorrow, and being able to see those moments where a lesson clicks is absolutely incredible. As a result of the HOBY seminar weekend I have grown to be part of a network of life-long leaders and friends. I would recommend the HOBY experience to anyone who is looking to become a better leader.